Taking photos on my phone is a daily task around here, and for the longest time I thought my iPhone’s capabilities were limited to opening the camera app and clicking. My photos would turn out okay but nothing compared to my DSLR with all it’s adjustable settings and options. Then I started learning more and more about my phone’s camera. I learned about the flexibility and customization it has, and in the process I learned how to take better pictures in general. It was a game-changer. And it can be for you too. 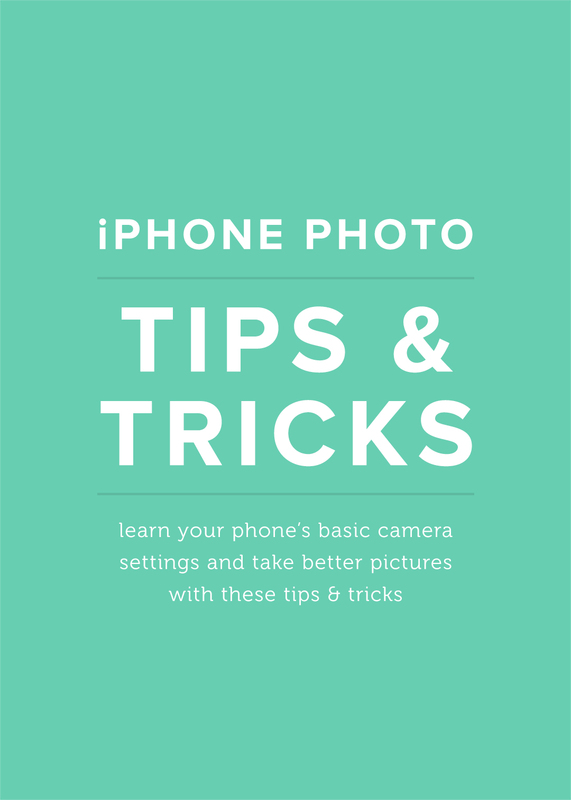 So without further ado, here are some of the top tips I’ve learned for taking photos and making the most out of your iPhone’s camera app. The best light of the day for taking photos happens at sunset and sunrise – it is also called the “golden hour.” This is when the sun casts a warm glow and highlights your photo’s details. Also, you always want to make sure the sun is facing your subject. This will make a huge difference. If the light is too harsh (think severe shadows) try placing your subject under full shade. These tweaks will literally highlight your subject and get rid of shadows and blowouts. If you only follow one tip, this is the one to try! It is so important to take the time to manual focus (or tap) on your photo’s subject and give the phone a second to adjust before snapping the picture. This is especially important when taking close-up photos so you can achieve a blurred background effect. Your pictures will continually turn out sharper and less grainy. This is one of the coolest tricks I have found! On the iPhone, after you tap focus, a little sun icon appears next to the focus box. From there, you can vertically scroll to adjust the picture’s exposure. Scrolling up will allow more light in, and vice versa. This is especially wonderful to try in low light settings where pictures can become dark and gritty. I am by no means a selfie expert but I have learned a thing or two about getting the best shot. Always hold the camera extended at arms length and above your face – this will really slim things and prevent double chins (hoorah!). As for lighting, make sure the sun is in front of you or stand in the shade to prevent any harsh shadows or squinting. If you want a full body shot, set the camera upright on a sturdy surface, like a table, and use the timer. If you have trouble keeping your phone upright, try placing a book behind it. This works great. Yes, they’re possible! And not difficult at all. To take an action shot (read: rapid succession shots) on your iPhone simply hold down the shutter button. Seriously, that’s it. You’ll be left with lots of photos saved as a group. Then just pick your favorite. This trick is also perfect for capturing candid shots. Want more creative thoughts? Head on over to the Sarah Holley Design blog.